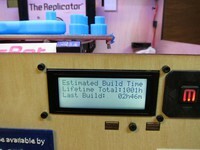 The status of Public Lab's 10 MakerBot Replicators. The 5 volt power upgrade has been performed. Not the delrin plunger drive mechanism. Power brick failed March 2015. Replaced with a new one. Power connector to heated bed was damaged/melted. Replaced. Laser cut acrylic panels for sides and front doors with printed hinges. Demonstrations at the Picayune library the first Thursday of the month. Printing miscellaneous parts for local FIRST robotics team number 1421. Arrived with both extruders upgraded to the spring loaded roller type (no delrin plungers). Left extruder inoperable due to cable break is now fixed. Maintenance: overall upgrade on Feb 4, 2015 by Aaron who runs Parsons 3d print lab. x-axis idler pulley is lubricated every week with SuperLube. 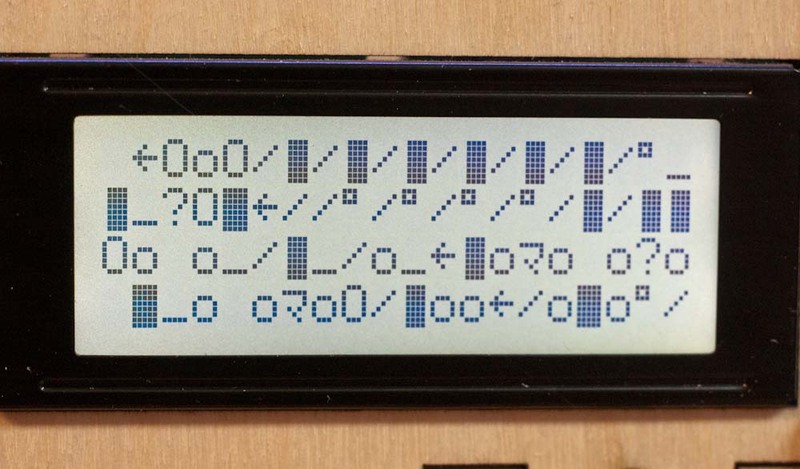 indicator LEDs disconnected to prevent voltage damage to board by motors.